I have to cook both tomorrow. 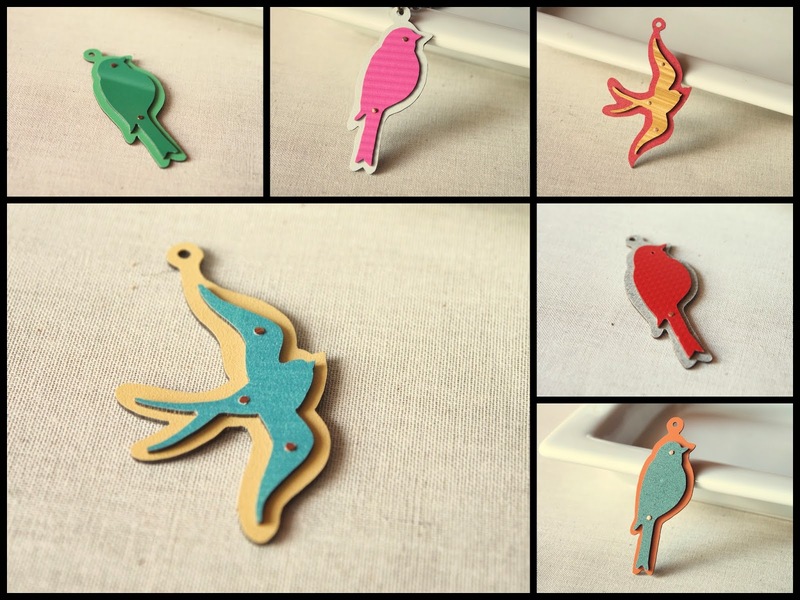 In the meantime, I put a bunch of stocking stuffers...also known as birdies and feathers...in the shop! I've also got a few different colors of ball chain in stock so you can mix and match. I made these collages as just a sample, but there are a bunch more colors and textures in there. I've been feeling much better lately. Trying to gain back some of the weight I lost in the hospital and on the nausea meds (they called them antibiotics) and also trying to work in some exercise. It's been six weeks so I'm also lifting baby again...some. I'm still finding myself really tired in the evenings and even though I have a bunch of new designs in mind, I've been slow to get out there and create. 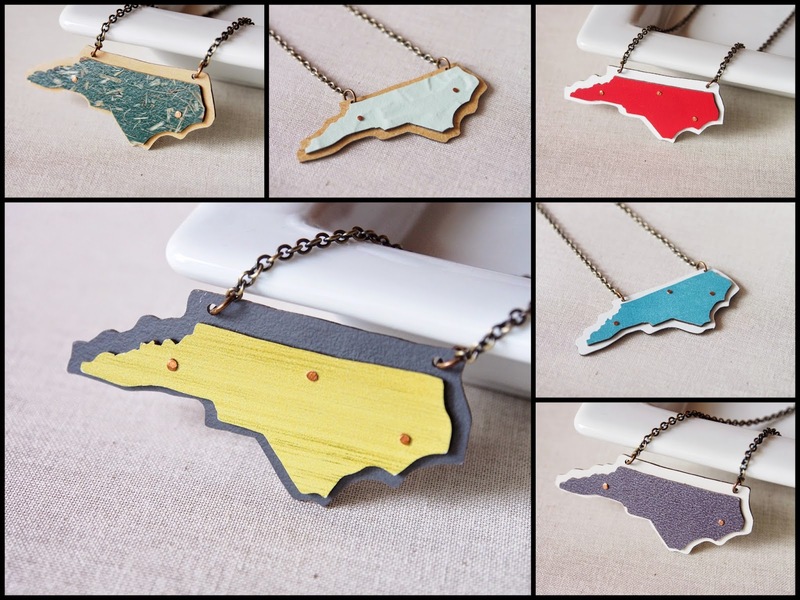 I'm pretty excited about all the North Carolina love in the shop also! I hope you have a great Thanksgiving if you're stateside and maybe even if you're not! Have a great week either way and if you're planning on doing any shopping this weekend, remember that the 29th is Small Business Saturday. Support local and small businesses as much and as often as you can! I'm glad you are feeling better! 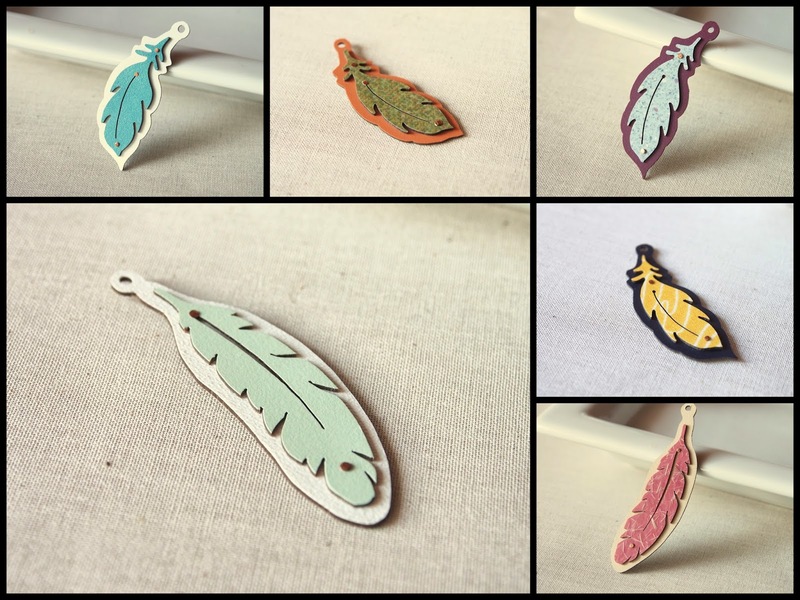 I just love the feathers.